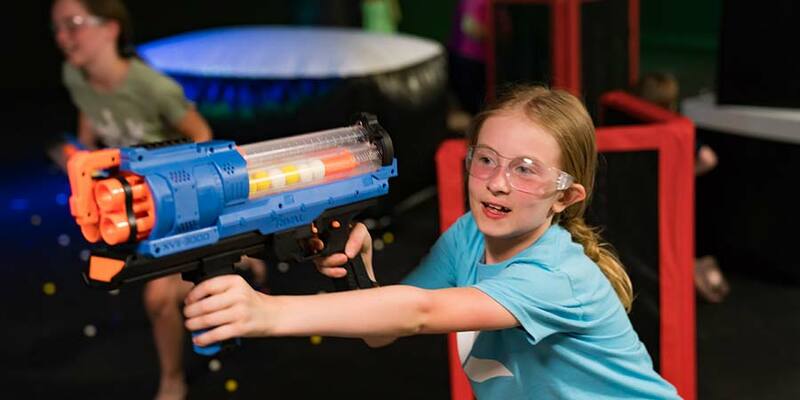 Dart Arena is the ultimate Birthday Party Destination! 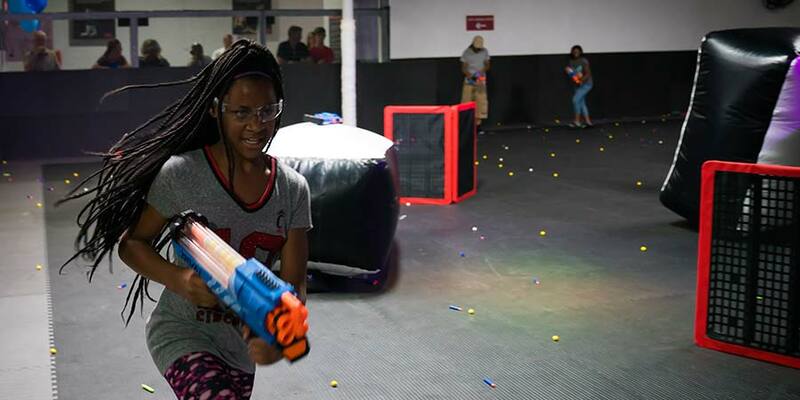 Grab your friends and battle it out in Ohio's only Indoor Nerf War Arena! Dart Arena is Cincinnati's Ultimate Birthday Party Activity! Dart Arena is the ultimate birthday party idea in Cincinnati. Your birthday girl or boy will be raving about their birthday party for months! 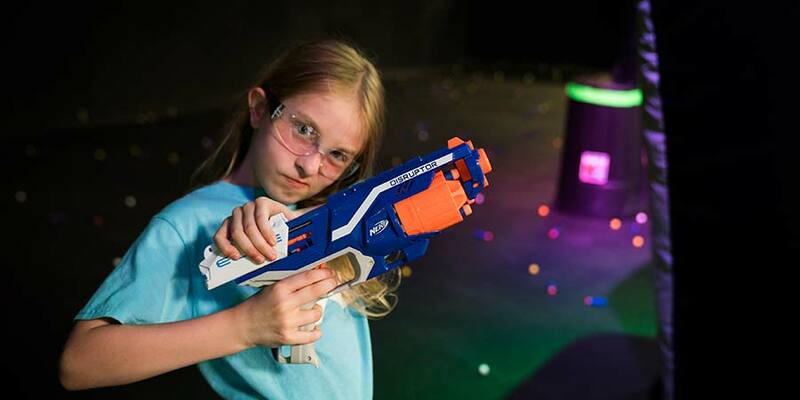 Nerf Wars are perfect for a group birthday activity. We offer several Birthday Party packages. 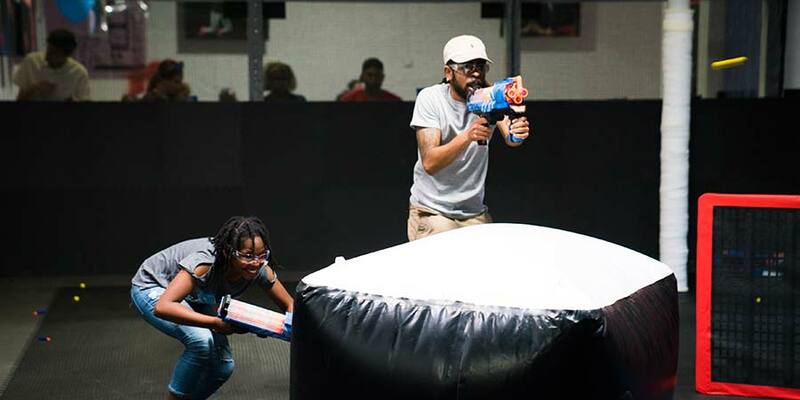 So grab your friends and head on over to Dart Arena to celebrate your birthday! 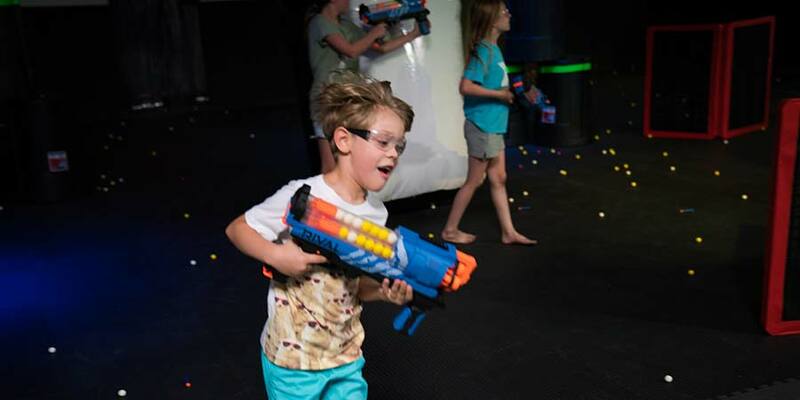 The birthday package includes up to 10 birthday guests and premium blasters for all! Don't forget, parents can also play in the arena! Battle it out for the hour, and then enjoy 45 minutes in the Birthday Party room! LOOKING FOR A UNIQUE BIRTHDAY? Ready to take things up a notch? Combat Archery is a lot like the game of dodgeball, just with bows and foam tipped arrows! An no... it does not hurt! No experience is necessary! Combat Archery is perfect for birthday parties! Ages 7 and up can play! We train everyone thoroughly! Click the link to learn more! Includes Premium Blasters for everyone! Includes private birthday party room for 45 minutes after game play. Welcome to bring your own food and cake! During peak hours, price increases to $400. During peak hours, price increases to $450. During peak hours, price increases to $500. Enjoy both an hour of Archery Dodgeball plus an hour of Dart Wars! During peak hours, price increases to $800. You can book individual tickets and group tickets through our website. Walk-ups can purchase a ticket on-site if space is available. You can check availability and book your time slot using our online booking system. We recommend booking a week in advance to ensure availability for you or your group. All participants must read and sign our online Waiver and Release Form as a condition to play. Parents of players under 18 must sign the waiver online or on site to allow them to play. Players must be 6 years of age to play. Dart Arena features 60 minute game sessions. As time goes on the game modes become more and more exciting and at the end a champion will be crowned! Games take place in 15 minute intervals. Walk-ins can join the next available game. 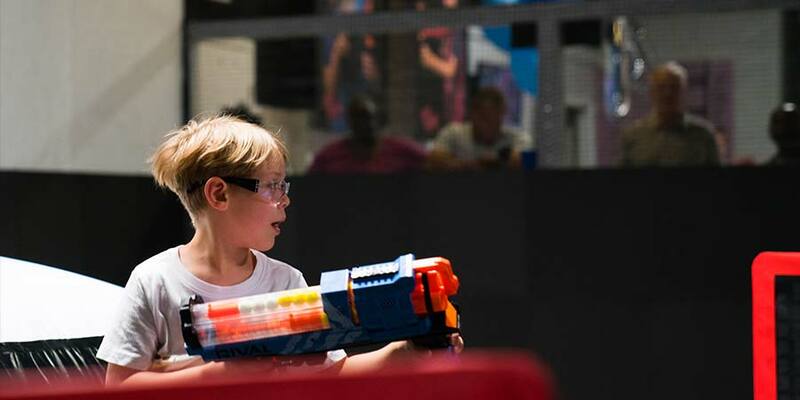 Nerf war is a fun and safe activity for children as young as 6 years old! 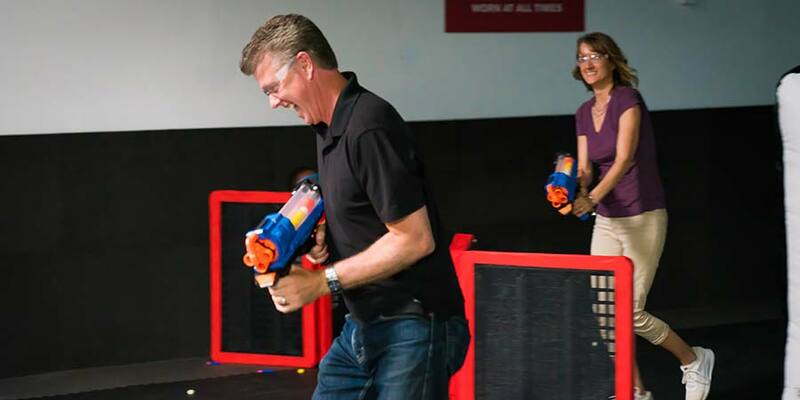 Dart Arena is great for team building and corporate events. Can I watch my kids play? Yes! The arena has two designated viewing areas so parents who don't want to play can watch all the action. We also have seating a TVS in our lobby so you can hang out while the kids play! - A desire to WIN and have FUN! 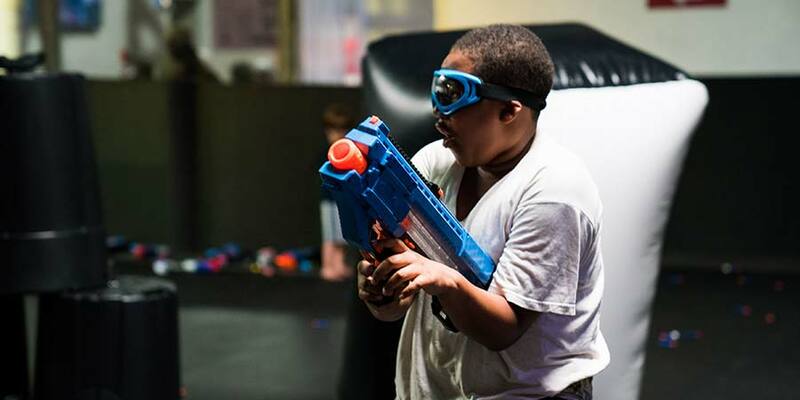 Dart Arena in West Chester, Ohio offers a premium Nerf War experience. 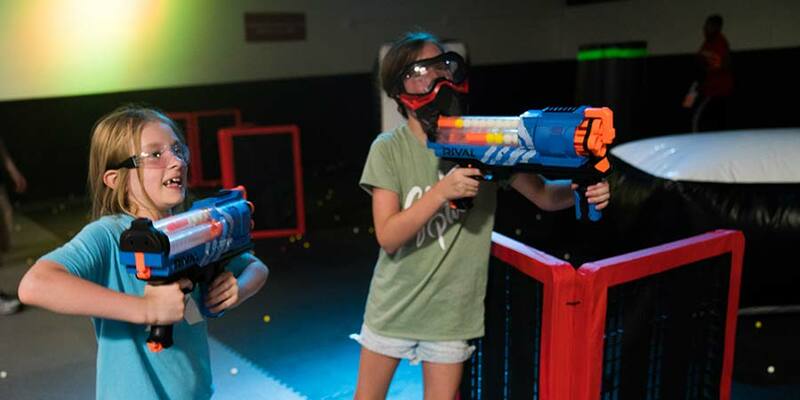 Battle it out with friends and family in the arena while playing several exciting game types using Nerf Blasters. © 2018 Dart Arena. All rights reserved.